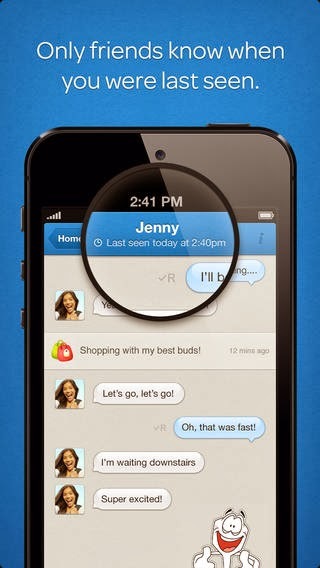 hike messenger is a new messenger that lets you send free messages to your friends and family! With hike messenger you can message friends that are on hike and also those who aren't on hike too! 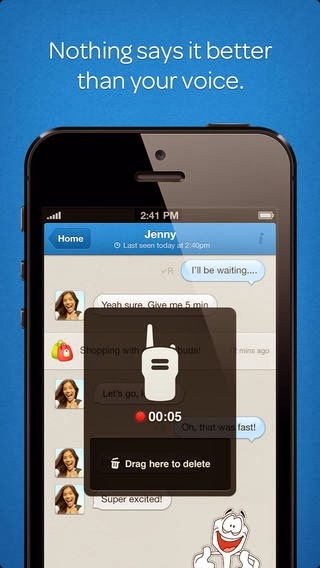 You'll never have to use another messaging app again. Better yet, its absolutely FREE! 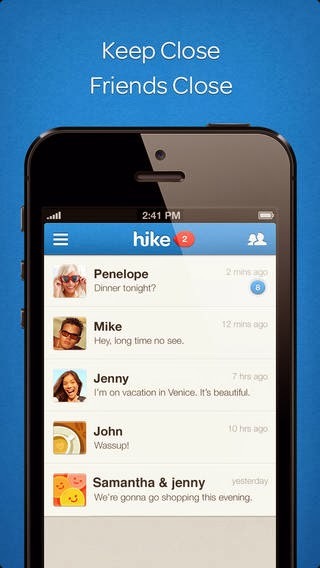 hike messenger uses your 2G, 3G or WiFi (when available) to message with friends and family. ★ Introducing awesome new chat themes with a unique twist! Make your conversations even more colourful. ★ Loads of Bug Fixes & under the hood performance improvements. 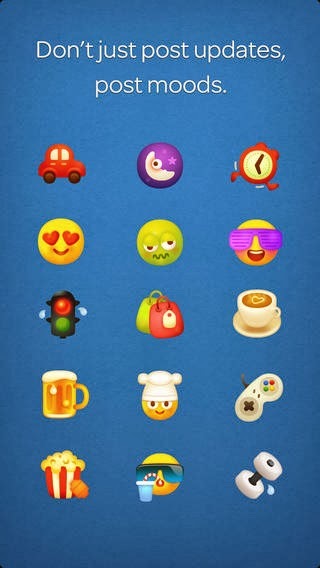 ★ 2 New sticker packs - "I Love You" and "Hot Heads"